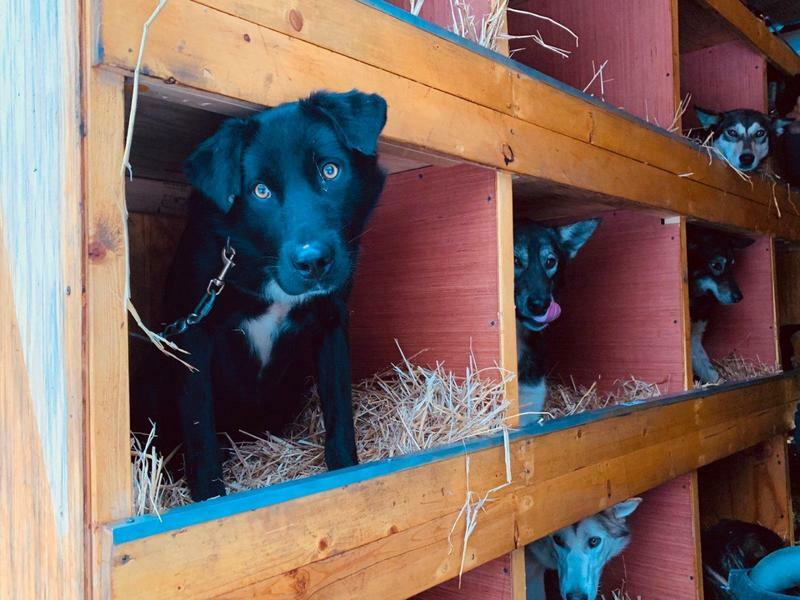 ​There are always challenges and last minute hiccups around the start of the Iditarod, but the start of 2018's race was more daunting than most. The Ceremonial start on Saturday, March 3, 2018 went off without a hitch. Seeing Double had 3 teams participating (Anna, Kristy, and Kristy's husband Andy Pohl), and all 3 had a great run with their respective Iditariders and whip-sled drivers in and around downtown Anchorage. The weather was near perfect and the twins said the trail was really nice. When the event was done, the teams were loaded up at the Campbell Airstrip, and Anna and sister Kat parted ways in one leased dog truck while Kristy and Andy went in the other Seeing Double dog truck and a borrowed trailer. 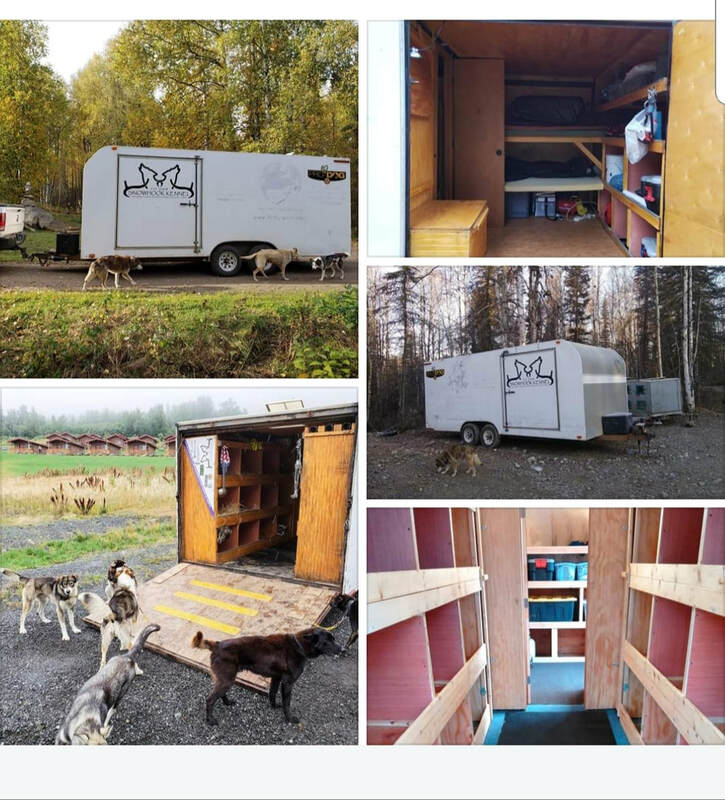 Each had a couple errands to run and then were looking forward to rendezvousing back at the kennel and getting a jump start on all the last minute stuff that has to be done right before the restart. Anna and Kat were making their last stop when Anna's phone rang... Ensue panicked look, Kristy informing the stunned listeners that they had been in a multiple car accident, the truck was totaled, and the jump start had just fallen apart. What could have been a disastrous situation, all things considered, ended up being a manageable lesson in adversity. Kristy, Andy, and the dogs were all rattled but fine. The airbags didn't deploy and the dogs seemed none the worse for their adventure. Kristy's race sled, secured on top of the dog truck, was not damaged. 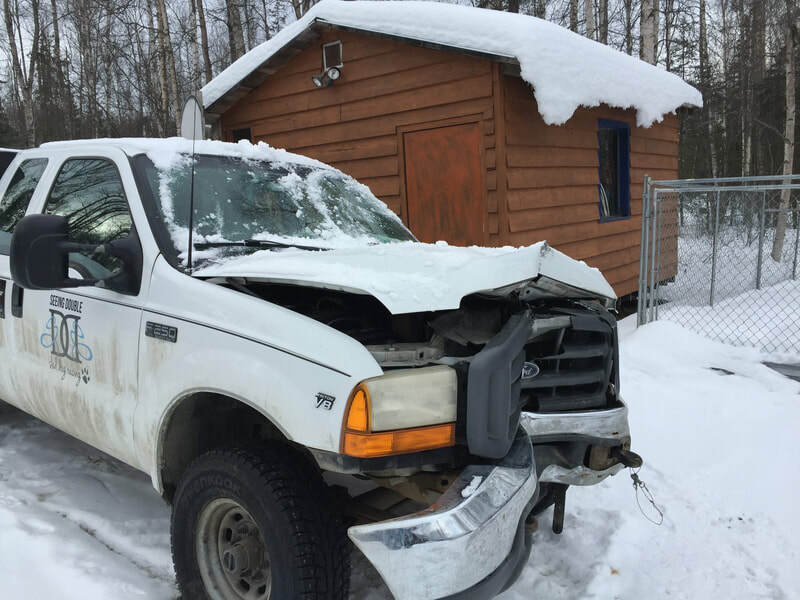 You can read a bit more about the accident on ADN.com. ​Fortunately, a vet passing by at the time of the 9-car incident, which was caused by wicked black ice, was able to confirm the pups seemed a-ok. Other friends and good Samaritans at the scene had a conversion van, and were able to secure the dogs from the box on the truck (as it was totaled and not going anywhere) inside the van and tow the still-functional trailer containing the rest of the dogs from their teams back to the kennel. Other friends gave Kristy and Andy themselves a ride back. 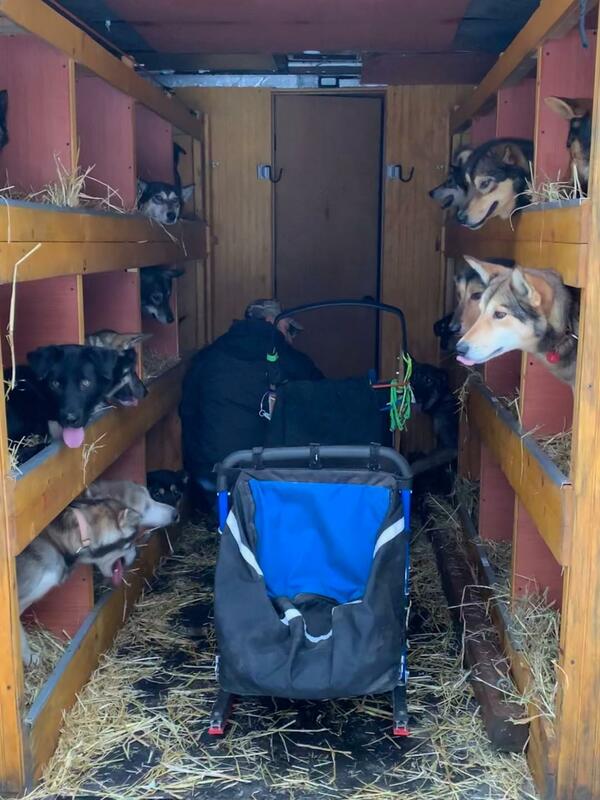 Anna lobbed a call into a good friend and Yukon Quest competitor who came to the rescue with a back-up dog truck to tow the trailer with Kristy and Andy's teams to the restart the following morning. 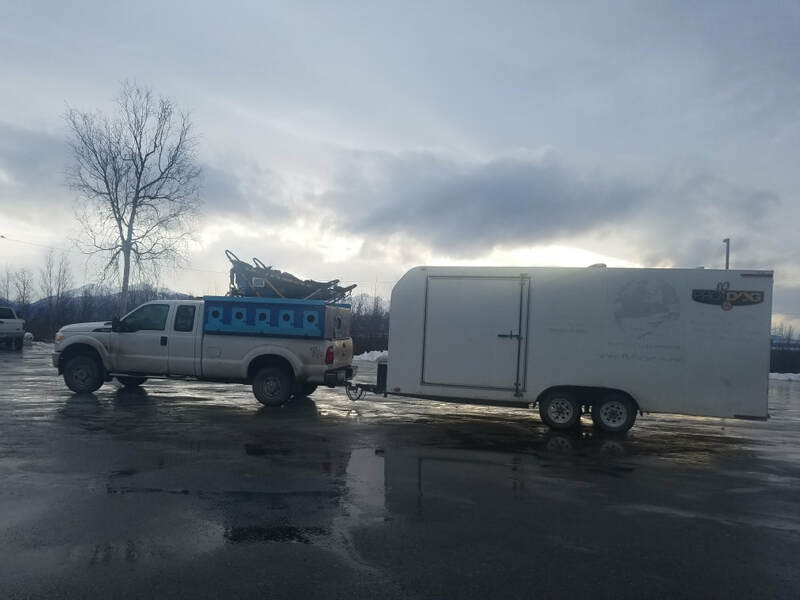 The trailer was checked to make sure it was indeed sound and reinforcements were made, sleds were packed, and maybe a couple hours of sleep was grabbed. In the end, all 3 Seeing Double teams had a successful restart in Iditarod 2018 and, ultimately, a successful finish. Sympathetic friends, family, and fans at the restart suggested they launch a GoFundMe campaign to help raise funds for a new truck. While they were still out on the trail, sister Kat embraced that idea with gusto. In the weeks ahead, dozens of folks showed their support with a donation, eventually raising nearly $5,900! 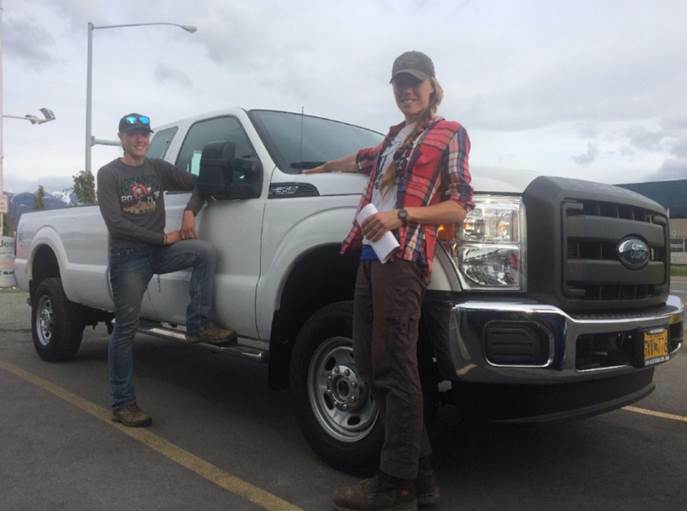 We dipped into savings and got help from family, and by the end of May had a new - gently used but very new to us - truck! 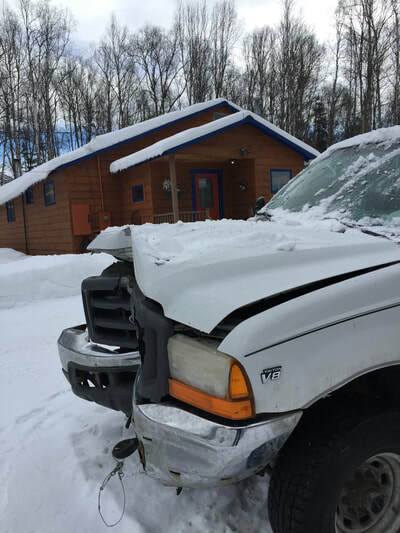 As we expected, the insurance company totaled out our old truck and we didn't get any insurance proceeds from them. 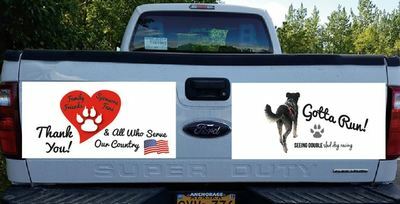 But we got to keep the remains of the old truck, and, after a small investment, were at least able to drive it. But it was only suitable for short-haul runs around the kennel. We're largely hanging up the keys on the old ride, having squeezed all the miles out of it that we could. 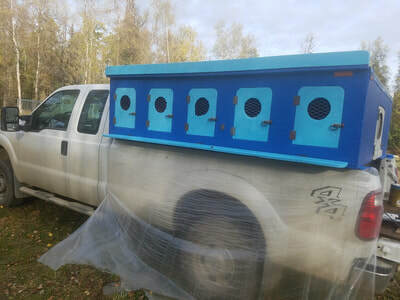 In early September, friend and fellow musher Bruce Lee donated an unused dog box in good shape, and we tossed that on the new truck, lovingly coating it in sharp blue paint later in the month. And in October, we finally found the right trailer to purchase. Used but in good shape, already outfitted by a knowledgeable musher, it was perfect for our needs. We'll soon have our Seeing Double logos on the truck doors, and decals on the tailgate of the new truck. And we hope to have the trailer painted and with logos and sponsor recognition before the big races of the 2018/2019 season. Stay tuned! We were able to drive the whole ensemble to our first race of the season, the Alpine Creek Excursion (ACE) race, the first weekend of December and just 9 months after the accident. It was amazing to have a safe, capable ride getting us to the starting line. Thank you to everyone that helped us be Dogs With Wheels! again.